Greetings, forex earthlings! I come bearing a quick update on the SMA Crossover Pullback mechanical system. If this is the first time you’re hearing about this mechanical system, better take a look at the trading rules and risk management adjustments first. As I’ve shown in the previous update, only AUD/USD had an open position going, with the 150-pip trailing stop activated. 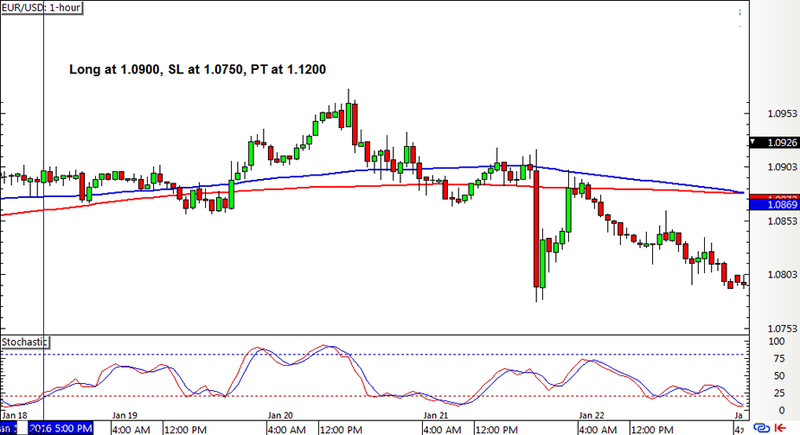 This stop was hit on a large rally, allowing the system to lock in 80 pips or a 0.53% gain. 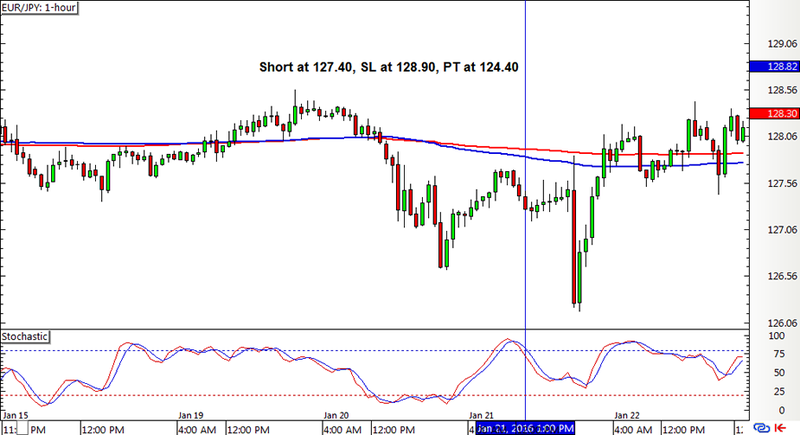 EUR/JPY finally picked a direction after the moving averages kept oscillating tightly, eventually generating a short order at 127.40. 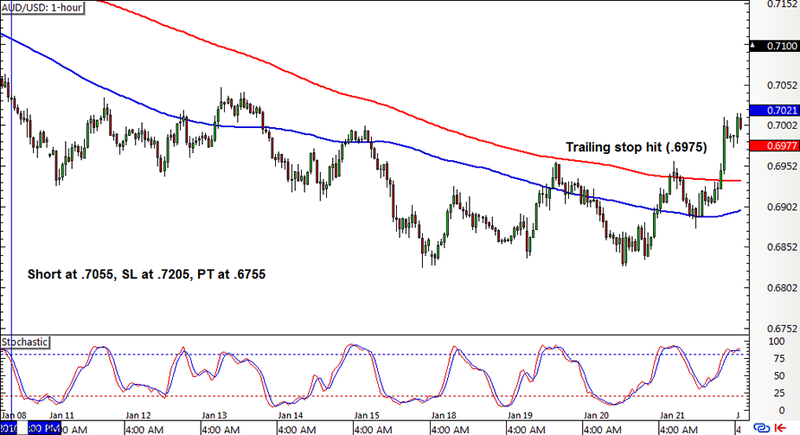 EUR/USD had an upward crossover from awhile back, only giving the stochastic pullback signal last week and generating a long signal at 1.0900. 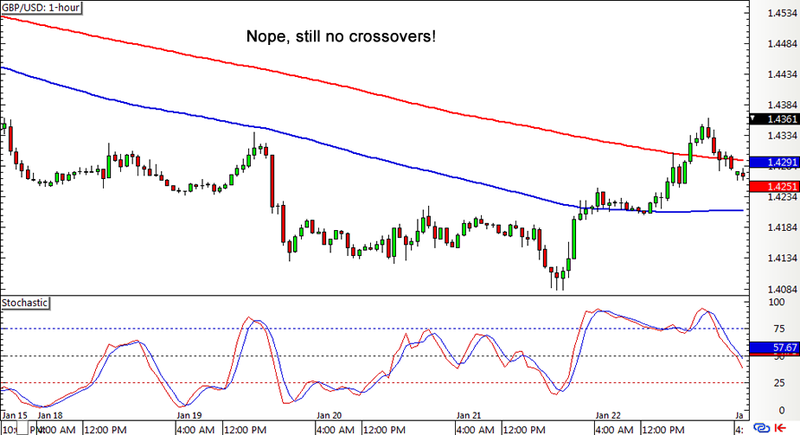 There were still no new crossovers on GBP/USD, preventing the forex system from hopping on the ongoing downtrend. It looks like we’re seeing a lot of choppy forex price action once more, as market participants are still deciding on a clearer direction. Still, I’m not complaining about the 80-pip gain or 0.53% profit it was able to catch on AUD/USD, just before the pair appeared to bottom out. The open positions on the euro pairs seem prime for an early exit on a new crossover so I’m keeping my robot fingers crossed that the system is able to squeeze out a few pips or at least trim the potential losses. Until my next update, stay tuned!